Can he get down and breakdance? Yup. And does he do it all with a smile? You know it! Music has always been huge for Zack. We've used it in therapies; we've even added music therapy to his week to complement what he's learning academically with a bit of rhythm. He and I have been having dance parties (with lil sis Addie, too!) for years and years and years. When he couldn't walk, I'd hold him and we'd swing around the kitchen in our first house, laughing so hard. When he was taking his first steps, he would shimmy across the black and white tiles to the beat of the song on the radio. We start nearly every morning with at least one song. The kids choose and ask Alexa to play it for them. (She understands about 70% of the time, haha). And then the three of us trot, march, glide and shake. Spontaneous dance parties are my favorite. Sometimes, a song comes on and, suddenly, there we are, laughing and twirling. No cares in the world, no worries. Zack even sings along now, which adds a whole new level of fun to our dance parties. Addie and I will often times stand to the side and clap and cheer him on and he LOVES it. There's almost always music on in the house. And I'm always waiting for the next dance party to begin. They're my favorites. Sometimes they're crazy and loud, with all different genres and all different times represented. Other times, it's just me and my guy rocking together to some Ray LaMontagne or Van Morrison. I may not get my Mother-Son dance at Zack's wedding one day (or maybe I will), but I'm luckier yet because I have daily dance parties in kitchen. Since it's Friday and Fridays are the BEST day for a good dance-a-thon, I thought I'd share some of Zack and Addie's FAVORITE songs, plus our nicknames for them and why we love them. Find one you love, take a few minutes and sing, dance, twirl and smile. Life's pretty good. Zachary is 7 years old and, in many ways, just like any seven-year-old boy: He loves to play sports, especially football; he can play a little rough with his little sister; he can be so ornery and stubborn. He goes to school every weekday. He plays outside in our backyard. He tries to sneak candy or a cupcake when we're not looking. In a lot of ways, our life is very, very ordinary. But in what I've discovered are some of the best ways imaginable, our life is very, very extra-ordinary. Zack was diagnosed after birth with Down syndrome, a genetic chromosomal condition that causes a third copy of the 21st chromosome (rather than just two) to be present. That extra chromosome can cause a wide range of health concerns, developmental delays, and a variety of sensory issues. Every person born with DS (about 1 in every 700 births in the US) is completely unique from anyone else with DS. The severity and onset of delays, issues and concerns is as varied as imaginable. There is no cure. There is hope, education, therapy, perseverance and a lot of battles. Some days, the unknown battles that lie ahead of our journey keep me from sleeping and bring on the most unpredictable of tears. I hate the shorter life expectancy of children and adults with Down Syndrome. I dread teasing or bullying that may come from his peers. I can't breathe when I start thinking about the increased likelihood of certain diseases and medical concerns. We've had to, in the past, fight for some of the most basic rights due to Zack -- lengthy battles with school districts to get him the education he needs and deserves; changing of doctors because they didn't keep us comforted or take us seriously and lots more. But now, right now, in this moment, we are in a beautiful place. I want to share our story with you and share the incredible joy, love, laughter and beauty Zack --- and his extra chromosome -- brings to our world. This blog will share peeks into our daily lives -- some "typical", some funny, maybe a few battles and maybe some happy tears, too. Before I was a photographer, I was a mother. And when I became a mother, I became Zack's advocate and voice. Our life is a little extra amazing because of Zack, his sister Addie and the friends and family that surround us with a little extra love and support. To see our previous family blog with stories from 2010 through 2016, visit here. 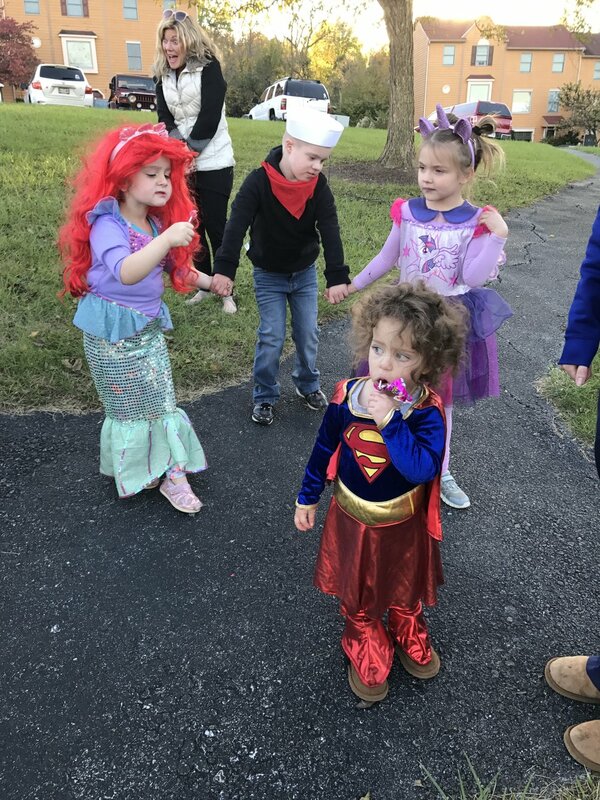 To follow the blog of a new Maryland friend and fellow family with one extra chromosome (who also inspired me to restart our family blog), enjoy #lilimcawesome here. For more information on Down syndrome, please check out the National Down Syndrome Society.